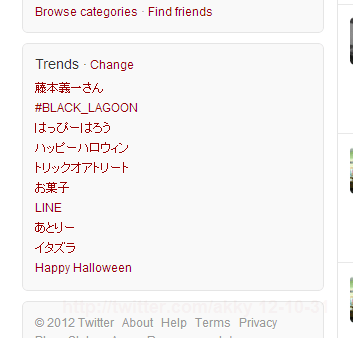 Twitter’s top trends in Japan now ranks “Line”, though 6 of top 10 are Halloween related terms. Line’s Facebook page is providing the same information in English. Naver Japan recently announced [J] the number of LINE users exceeded 70 million, 32 million of which are in its homeland, Japan. [Update] The recovery was announced at 2:28 a.m.